Celebrate Easter Sunday with a delicious Easter Dinner. Make it a special holiday. In this year’s Easter Dining Guide, you will find a selection of restaurants in both New York City and the Hamptons. They are all simply ideal dining choices for a feast with all your family and friends. You know restaurants are going to be extremely crowded. Don’t take the chance to dine at a restaurant and be disappointed. You deserve a delicious Easter Dinner. Do your DD (due diligence) and make it a special day. T-Bar Steak and Lounge is the popular spot for diners looking for an Easter dinner with outstanding cuisine in a casual yet elegant space. The restaurant’s charm is accented by a stylish, dark-wood accented dining room, frosted glass details and subtle back lighting. This Easter, under the watchful eye of Restaurateur Tony Fortuna, T-Bar will offer a special Easter Menu as well as their regular a la carte menu, which features its signature prime beef steaks along with a mélange of grilled fish, chopped salads and pastas. A long list of perfectly-prepared side dishes, like the Sautéed Haricot Verts with garlic, or the Roasted Brussel Sprouts with bacon, complement each entrée on the menu. 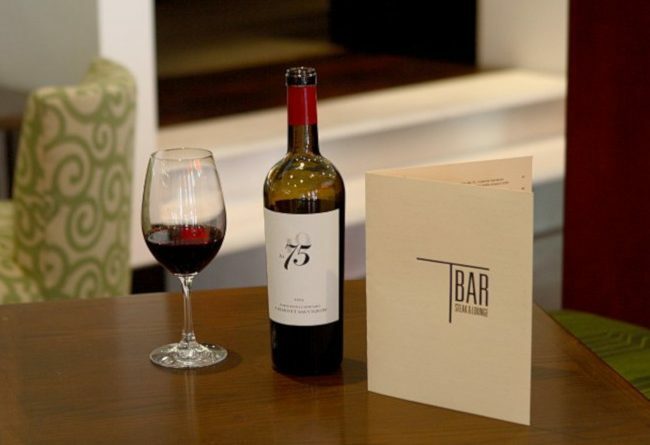 Pair your meal with one of the restaurant’s specialty cocktails or a glass of wine from T-Bar’s carefully selected wine list. Swoon over the decadent desert menu crafted by Executive Chef Ben Zwicker, which includes the famous Banana Parfait Mille Feuilles with coconut and caramel sauce. Authentic Family French Bistro Demarchelier, owned by artist Eric Demarchelier (brother of famed fashion photographer Patrick Demarchelier), is sure to deliver this Easter. Demarchelier brings a little piece of France to New York City. Every meal that leaves its kitchen aims to capture the essence of authentic French bistro fair. This family owned and run Upper East Side restaurant radiates a comfortable, colorful, warm and familial spirit that has made it a neighborhood fixture for a quarter-century. Ideal for a quick bite to eat, a romantic rendez-vous, or a simple family meal. The traditional French menu is paired perfectly with a wide range of predominantly French wines. This Easter, Demarchelier will be serving its regular Sunday Brunch for those coming from their Easter Sunday church celebrations with dishes such as their Organic Omelettes and the Smoked Salmon Platter. Demarchelier’s traditional a la carte menu will be served throughout the day with signature menu items. For example, the Moules Mariniere au Vin Blanc; Duck Confit served over a hearty mix of tomato and tarragon scented flageolets; and Pan Sautéed Sole Meuniere, accompanied by mixed vegetables. This elegant eatery is the perfect spot to celebrate Easter. Owned by Roman Kaplan and managed by his daughter Vlada Von Shats and her two sons Michael and Nicholas, this upscale establishment offers some of the finest Russian cuisine in New York. Located in the Theater District, Russian Samovar boasts a 19th-century feel, complete with picturesque green and red shades and Russian folk prints. Russian Samovar offers their a la carte menu for Easter Sunday. Delectable appetizers from the a la carte menu include Beluga and Osetra caviar, Blinis filled with salmon or caviar, the Assorted Fish Platter (in-house cured Salmon Gravlax with dill. There is Smoked Atlantic Salmon and Smoked Butterfish), Vol-au-Vent (a wild mushroom puff pastry), traditional Borscht, a Pate Russe laced with brandy, and Pelmeni Stroganoff. In addition, feast on veal or chicken with sirloin tips in a creamy mushroom sauce. It is its signature entrees, however, that have put Russian Samovar on the culinary map. House specialties include Shashlik Karski (rack of lamb marinated in Georgian spices), Beef Stroganoff, Veal Pojarksi (ground veal and breast of chicken cutlets), Chicken Kiev and Pelmeni (veal, beef and chicken dumplings). Aside from its authentic Russian dishes, Russian Samovar is known for its 26 flavored vodkas prepared in-house, including ginger, horseradish, lemon and cranberry. For those who spend Easter on Long Island’s beautiful East End, Union Cantina offers a warm and friendly atmosphere, combined with a modern Mexican menu crafted by award-winning Executive Chef Scott Kampf. The year-round eatery sits in the iconic Bowden Square, and features a festive atmosphere, combining dark woods balanced by the bright cerulean colored walls, which are also decorated with Mexican artwork. This Easter Sunday, diners can choose between the popular bottomless brunch (with 2 for 1 brunch cocktails) or dinner. Delectable dishes will be served such as Avocado Fries, Hearts of Palm Salad, Baja Tacos, Skirt Steak Tacos, and their widely popular house specialty Deconstructed Enchiladas. Do not miss the popular Guacamole En Molcajate, prepared mild or spicy. In the mood for a gourmet hamburger or a delectable milkshake? Try their newest dining hotspot, Union Burger Bar. The restaurant extension is co-located with the contemporary Mexican restaurant, offering an assortment of specialty gourmet burgers, fresh hand-cut fries, maniacal milkshakes & desserts. Of course, enjoy an elaborate craft beer and small batch bourbon selection. Union Burger Bar is first come, first served, no reservations, and is open for both lunch and dinner. Enjoy Easter at the Southampton Inn and Claude’s Restaurant, with breakfast from 7:00am to 10:00am, or Sunday Brunch from 10:00am to 3pm. Children under 12 will have the opportunity to participate in the Inn’s Annual Easter Egg Hunt with the Easter Bunny, a free event for the community. This popular tradition will take place on the South Lawn at 10:00am on Easter Sunday. Book an overnight stay for two on Saturday, April 20 for $195, plus tax, and receive breakfast or Brunch for two at Claude’s on Sunday April 21. If you choose the Brunch option, Southampton Inn offers a late checkout of 1:00 PM. Claude’s Restaurant at the Southampton Inn is open daily for breakfast, Sunday brunch, and dinner Tuesday through Saturday, 5:00pm-9:00pm on Friday and Saturday. Executive Chef James Carpenter creates delicious dishes year-round featuring locally sourced seafood and vegetables. With several acres of manicured lawns and gardens in the heart of the Village of Southampton on Long Island’s stunning East End, Southampton Inn provides an idyllic, year-round escape for visitors from all over the world. Winner of numerous awards, including “Best Breakfast,” “Best Brunch,” Best Dessert,” Best Hotel,” and “Best Wedding Location,” Southampton Inn is a warm and welcoming haven with an exemplary reputation. We hope you enjoyed our suggestions for a delicious Easter Dinner. Be sure to stop by again soon. Follow this popular luxury blog. Read the best in luxury travel.